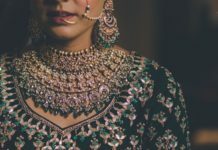 5 Protips for Colour Contrasting Your Jewellery With Your Wedding Outfit - Wedding Affair var admin_url = "https://weddingaffair.co.in/wp-admin/"
If you want your wedding look to stand out and steal the show this season, you will need to do something out of ordinary. 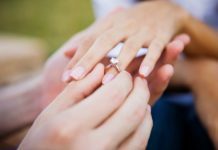 The same conventional styling and ladening yourself with heavy jewellery simply won’t work. Why? Because to be honest, we’ll seen it before so many times. 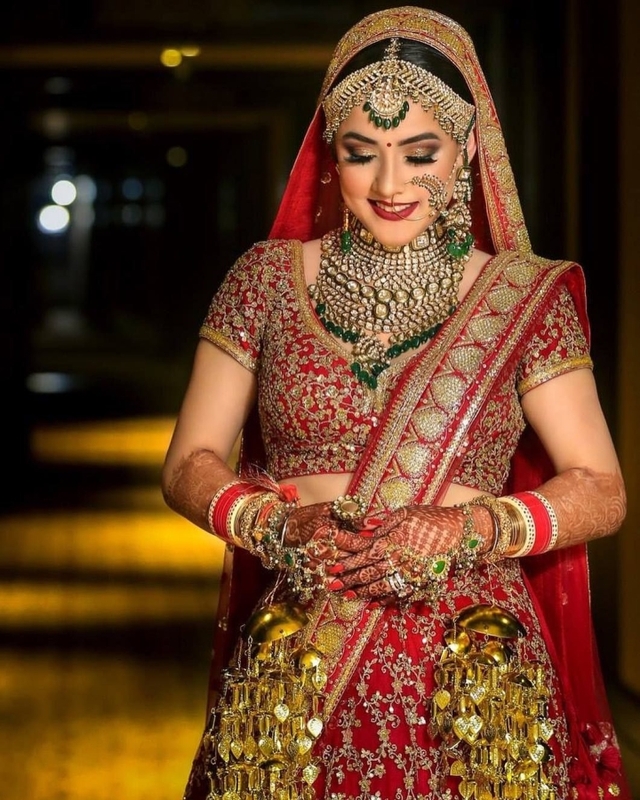 This season if you want to make your wedding look arise, go for a colour contrast between your jewellery and your wedding outfit. 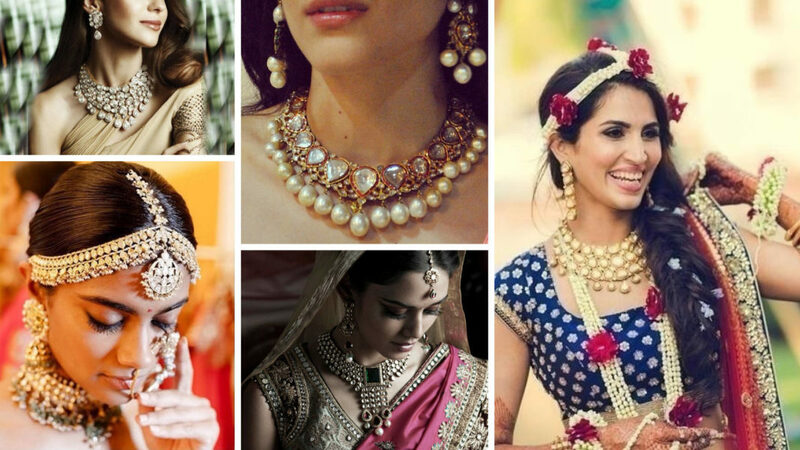 Here are 5 rules to nail the contrasting jewellery to the wedding outfit look. If you have decided to wear a subtle pink, peach, green, lavender or blue; then go for a jewellery set in the colour only more dark and bold at the same time. 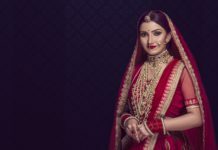 Rubies or dark pink stones on a soft pink or peach lehenga, jewellery with emerald stones on a pista green lehenga and amethyst jewellery on lilac or lavender coloured lehenga will work wonders. 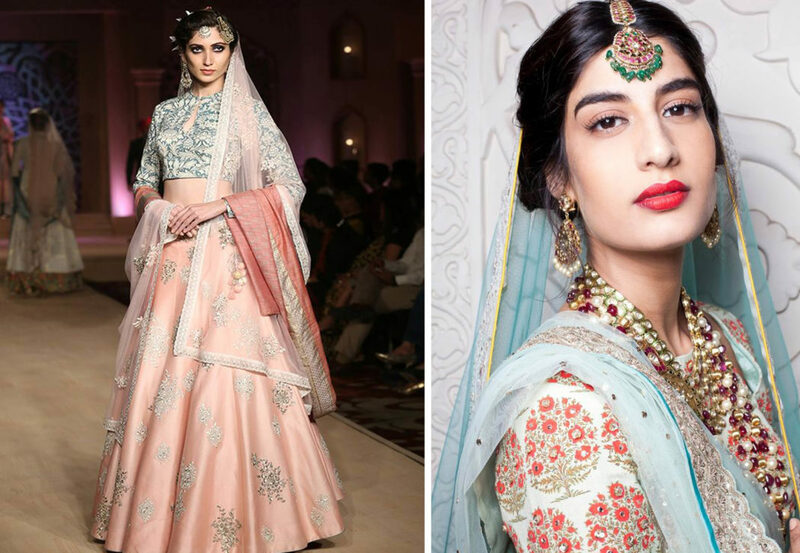 If you fancy wearing a neutral lehenga on your wedding, for instance, ivory, cream, peach or a grey colour, then you can opt for a starkly contrasting jewellery in bright shade such as turquoise, green, pink or blue. You will look no less than an elegant diva. 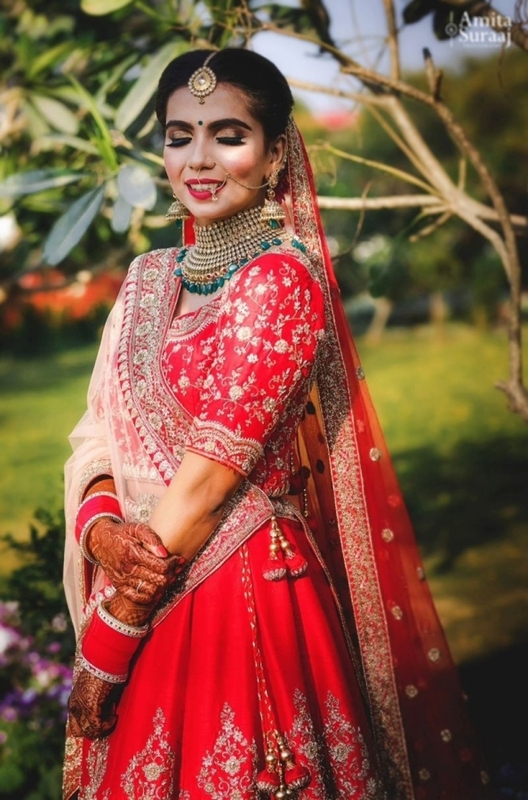 If you are planning on wearing your mother’s gorgeous red lehenga, don’t worry you can still add that welcome contrast. All you have to do is pick the right set of contrasting jewellery like an emerald set. The look is bound to make the heads turn in your direction. You can even play with colours to add a more personal touch. Go bold and don’t hesitate to fuse different colours that aren’t tried before. 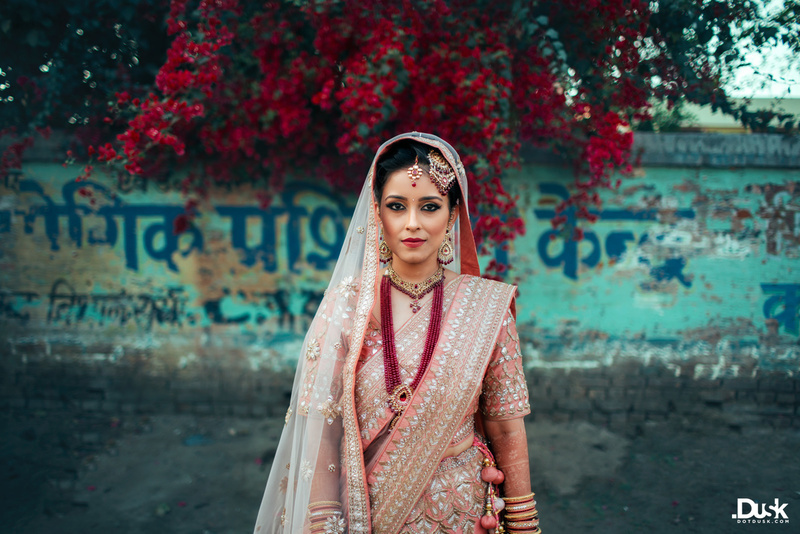 If neutral colours don’t appeal to you, you can even opt for a gaudy solid coloured lehenga. To get the contrasting look, pair it up with pearls and you are ready to rock your day.